Heat staking assists in production speed and consistency by replacing elements such as rivets and screws with a permanent joint. 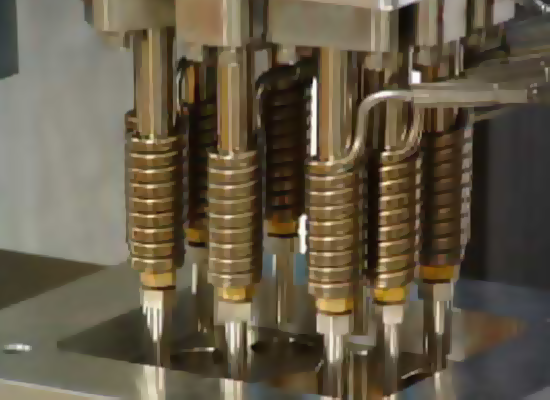 Heat staking also has the capacity to join plastics to other materials (e.g. metal, PCB’s) in addition to joining like or dissimilar plastics. An advanced method of printing, pad printing allows the transfer of a 2D image onto a 3D object. An industrial welding technique, sonic welding uses high-frequency acoustic vibrations to bond objects under pressure. Custom, on-site automation services provide a number of secondary assembly tasks to reduce our customers’ costs while getting their products to market faster.